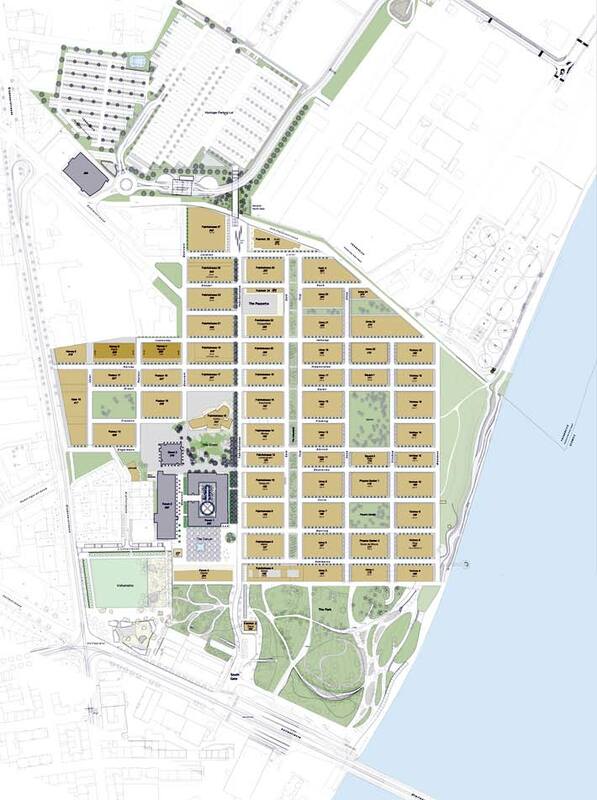 In 1999 PWP won the competition for a landscape master plan that would transform a 51-acre site beside the Rhine River from a paved industrial landscape crisscrossed with train tracks into a modern—and largely pedestrian—research and administrative campus filled with outdoor art, trees, greens, and parks. The plan also dealt with an extensive network of existing underground infrastructure. 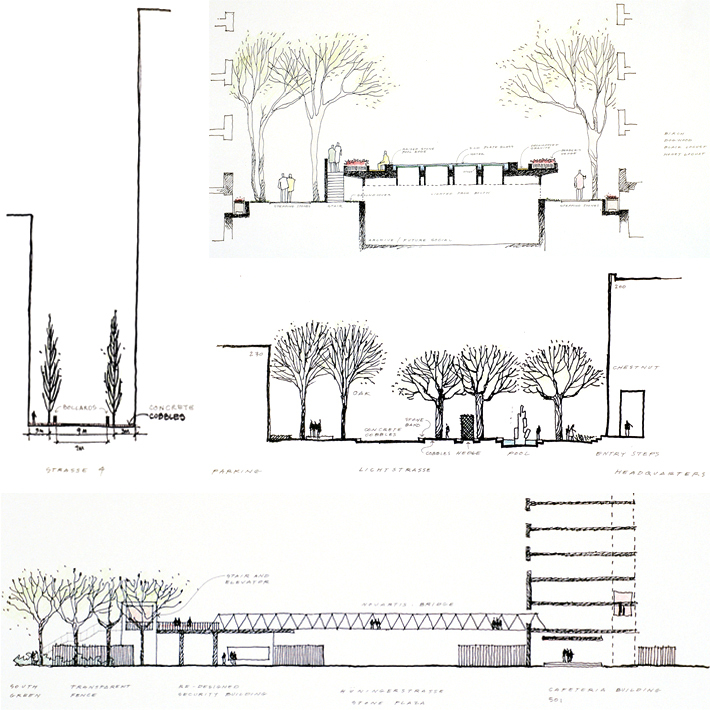 In 2001 Novartis commissioned Vittorio Lampugnani to create a new urban-design plan to serve as the basis of a series of architectural competitions. A campus spine was developed along historic Fabrikstrasse, with outdoor spaces coordinated with buildings by such architects as Frank Gehry, Renzo Piano, Tadeo Ando, and Yoshio Taniguchi. Planted pedestrian-scaled side streets accommodate service and emergency functions. Peter Walker continues to sit on the design committee that develops guidelines and oversees competitions and the growth of the campus. 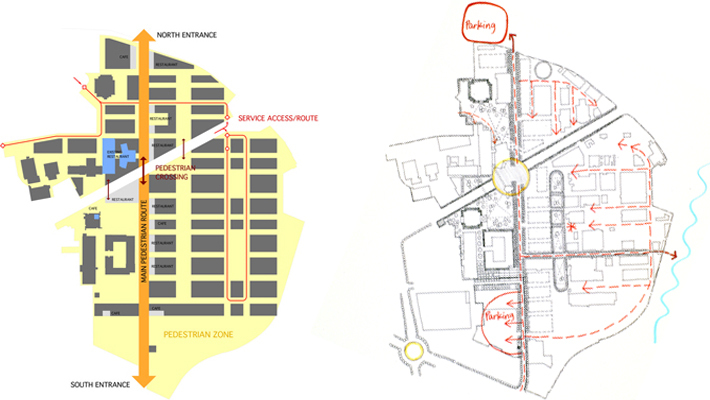 Specific PWP designs for the Novartis campus include the Forum, the Building 100 Courtyard, and the Underpass.